Now that’s an effort and a timeline we can both applaud and keep an eye on at it’s achieved. Lidl Ireland has committed to providing 100% sustainably sourced fish through its growing network of 159 stores across Ireland by the end of 2019. Already, 80% of wild-caught chilled and frozen fish available at Lidl Ireland is certified to the Marine Stewardship Council (MSC*) standard. 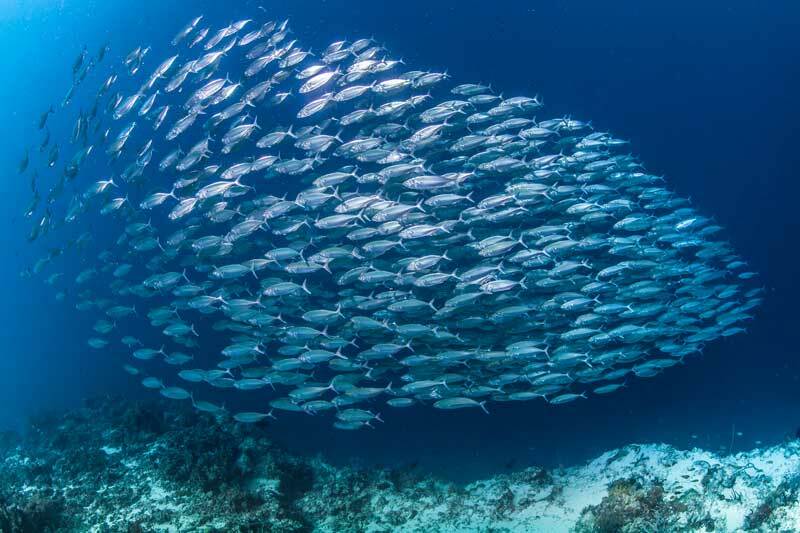 The MSC is an independent, non-profit organisation established to address the problem of unsustainable fishing and safeguard seafood supplies for the future. At present, 65% of Lidls farmed fish is sourced from independently certified sustainable fisheries (ASC* or GLOBAL G.A.P. *), this will increase to 100% by the end of 2019. 100% of Lidls canned tuna is already responsibly sourced using either the pole and line fishing method, FAD-free (Fish Aggregating Devices) fishing methods or is MSC certified. Commenting on Lidls commitment, George Clark, Senior Commercial Manager UK & Ireland at the Marine Stewardship Council said: “It is fantastic to see such strong commitment to providing customers in Ireland with 100% certified sustainable seafood. By offering a wide range of sustainable species and 80% of their current chilled and frozen wild range being MSC certified, Lidl is already providing consumers with an excellent choice when in store. By choosing products with the MSC logo, Lidl shoppers are helping protect our oceans for future generations. To meet this goal, Lidl has been working closely with their Irish suppliers, including Bantry-based Keohane’s Seafoods. Lidl first began working with the family-owned business in 2012, enabling them to expand and grow their business. Seven years later, the company now has 160 employees across two facilities in Cork City and Bantry. 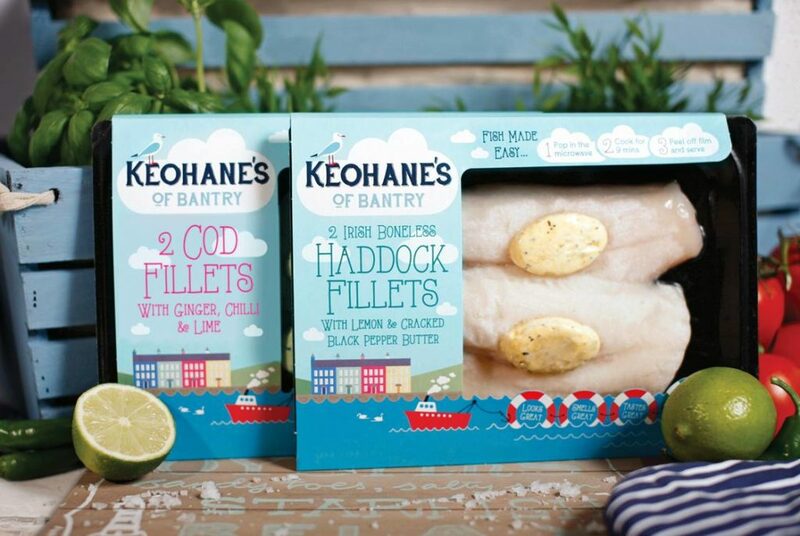 Keohane Seafoods supplies a range of products to all Lidl stores across Ireland and Northern Ireland. Earlier this year, Keohane’s Seafoods signed a contract to supply packaged salmon darnes to 120 Lidl stores in the UK. Mike Keohane, Managing Director, Keohane’s Seafoods said: “We have established a long term partnership with Lidl that has enabled us to develop our business and are proud to work closely with Lidl to ensure our seafood products are certified to sustainability programmes. We are also working with Lidl towards sustainable packaging including moving away from unrecyclable black plastic which will be hugely impactful. We couldn’t find comparable data for Ireland (if we can find the time, Coast Monkey will compile it) but last year the MSC published a table of various UK supermarkets and what percentage of their seafood range is sustainable. Aldi led the way at just under 80%, second Sainsbury’s at 76%. Next is Lidl at 72%. Waitrose has 67% of its range MSC certified; Co-Op has 61% with 54 products; and Tesco’s 129 sustainable certified products covers 48% of their range. Iceland and Morrison’s are at the bottom of the league with under 5% of their seafood range MSC-certified sustainable. So, if Lidl comes through on its commitment in 2019 it will likely leap to the very top of Ireland’s sustainable seafood league table.